4 winners (each prize consists of a guest appearance on our Don Jazzy TV Commercial, 1 Samsung Galaxy Smartphone and 1 night stay in a hotel). You must be over 18 years of age to enter this competition. 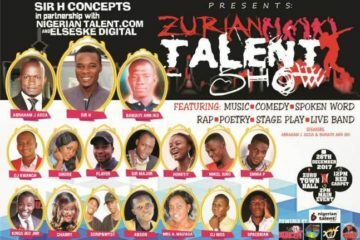 This competition is open to Nigerian residents only. This competition is not open to employees of Promasidor Nigeria Ltd and their immediate families or its affiliated companies, their agents or anyone else professionally connected with the promotion. Competition closes on 31st December 2012. Prize winners will be contacted by 9th January 2013. Prize winners will have until 12th January 2013 to respond, should no response be received, we reserve the right to select another winner at random. Prizes are non-transferable and alternatives may only be offered at the Promoter’s sole discretion. 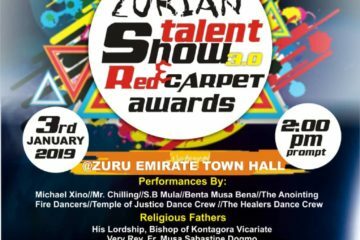 Entrants are limited to one entry only; multiple entries will be counted as one. Entry into this competition is via this on-line entry form only. Prizes will not be exchanged for cash. A participant’s personal data will be held solely for the purpose of selecting the winners in the competition and will not be used for any other purposes whatsoever without their prior permission. 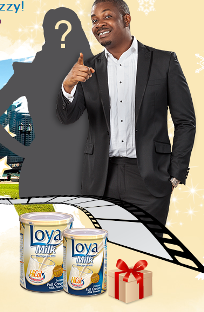 Some entries including the winning entries will be displayed anonymously on the Loya Milk Facebook Homepage. In entering this competition the participant is providing their information to The Promoter and not to Facebook. The Promoter’s decision in relation to all aspects of this promotion is final and no correspondence will be entered into. This competition is in no way sponsored, endorsed, administered by, or associated with Facebook. Consequently Facebook holds no responsibility towards the provision and awarding of prizes nor the means by which to enter the prize draw for those prizes. The Promoter reserves the right to cancel or amend the promotion at its sole discretion. The Promoter is not responsible for any third-party acts or omissions. Are You an Upcoming ScriptWriter? We Need Your Scripts!